Salvador Dali, Still Life: Sandia, 1924 / © Salvador Dalí. Fundación Gala-Salvador Dalí, (Artist Rights Society), 2014 / Collection of the Salvador Dalí Museum, Inc., St. Petersburg, FL, 2014. 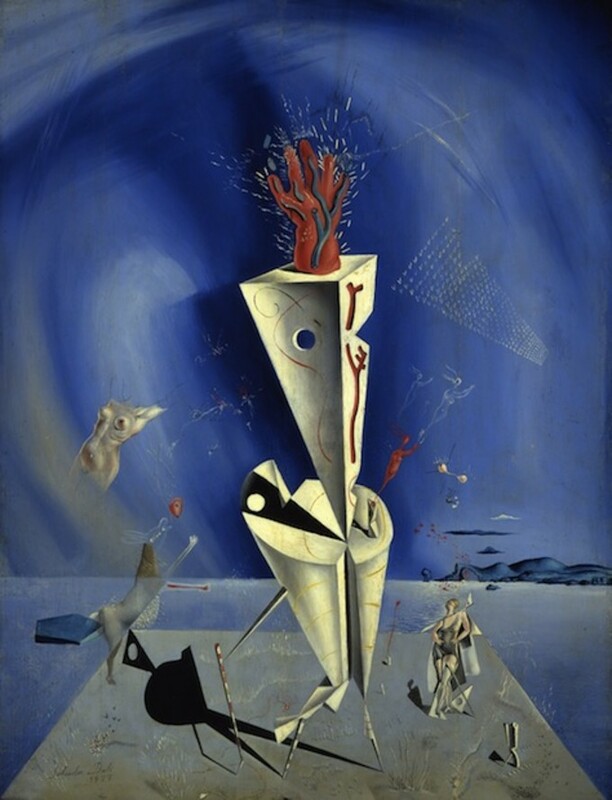 Considering Salvador Dali in the context of Pablo Picasso—and Picasso in the context of Dali—has long been a favorite pastime of art history scholars. Yet there’s never been a single space in which to view several of these legends’ works side by side in a way that places them squarely within the context of history, geography, and politics—until now. On Nov. 8, The Dali Museum in St. Petersburg, Fla. will unveil “Picasso/Dali, Dali/Picasso,” a groundbreaking new exhibition comprised of more than 80 pieces—including paintings, drawings, prints, and personal correspondences—that opens up a new dialogue surrounding the personal and artistic relationships between these two masters, who seemed to both compete and admire each other’s work in equal measure. 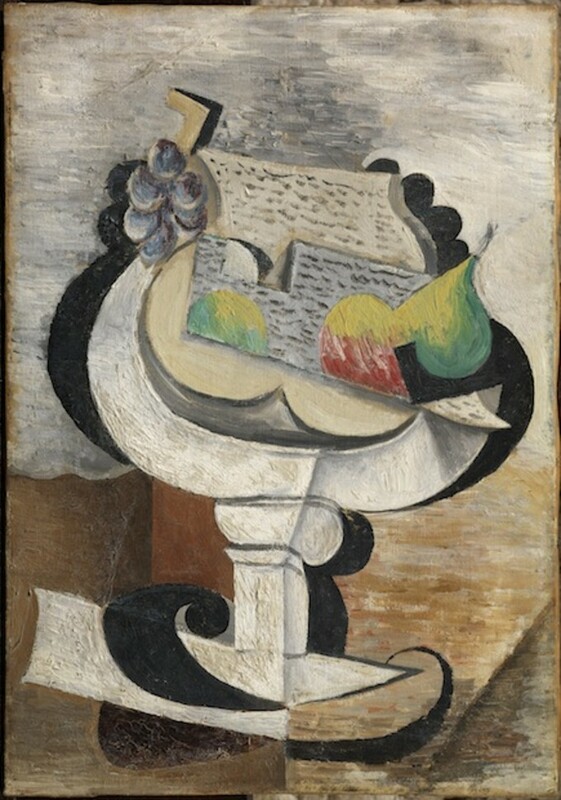 A joint venture with Barcelona’s Museu Picasso, the show—which is culled from a total of 22 organizations around the world—will run in St. Petersburg through Feb. 16 before re-opening in Barcelona on March 19 (though each show will feature a significant number of unique works). In the days leading up to the exhibition’s public debut, we had the chance to preview the show and speak with Hank Hine, The Dali Museum’s longtime Executive Director, about the 11-year road to mounting such a massive artistic undertaking, the logistics of transporting priceless art, and magical places. Salvador Dali, Apparatus and Hand, 1927 / © Salvador Dalí. Fundación Gala-Salvador Dalí, (Artist Rights Society), 2014 / Collection of the Salvador Dalí Museum, Inc., St. Petersburg, FL, 2014. When and how did the idea of mounting this exhibition come about? [Museu Picasso Director] Bernardo Laniado-Romero reminded me that it was 11 years ago that I paid a visit to the newly opened Picasso Museum in Málaga, Spain, when Bernardo was Assistant Director. The director was a really famous curator named Carmen Giménez, and the idea was really well received by the museum in Málaga (by Bernard) and by Carmen, but then Carmen left the museum shortly thereafter. Although these are institutions, it’s always people you make the relationships with and who carry things forward or don’t carry things forward, depending on their enthusiasm. So it started long ago, and there were just some hurdles like that—staffing and personnel. together, they give us a higher view of what art is about. Then you have to also remember that we think of Dali and Picasso as sort of fixtures. They’re these gigantic figures in modern art, and nobody takes them to task too much here, but in Spain there are these ghosts of political issues that circulate around them. Picasso made his very defiant stand not to return to Spain until Franco was gone, but Dali didn’t want to be divorced from his Spain. He wanted to be part of it after the war, and he went back home and he found a way to get along there. Many people who were intellectuals and maybe had been forced out of the country or were there under duress resented Dali for not being a political showman. As we know, artists and writers can be showmen about politics, but their politics are often aesthetically based. People often point out that Picasso was a terrible Communist because his work would have been absolutely described by the Communist leaders as degenerate art. He didn’t represent, in a naturalistic way, the trials of the Proletariat. I’m always loathe to judge artists in terms of their assigned political views because they may not be their views at all, or they may just be a way of coping with a situation. It was harder to engage a Spanish institution because they had political issues that we don’t have. And the attempt here wasn’t to privilege one artist over the other; the attempt here was to show that these two giants really had an awful lot in common and that we might come up with a new approach, which was not to feel like we are more comfortable with one artist or we think this artist is greater. But rather that, together, they give us a higher view of what art is about in a kind of triangulation of the following: here are the events, here’s what the world was like, look at how these two different artists approached it, each of them consummate in their skills, and here are the visions they gave us. I think that perspective finally prevailed on this very intelligent young director of the Picasso Museum in Barcelona, and he supported the idea. 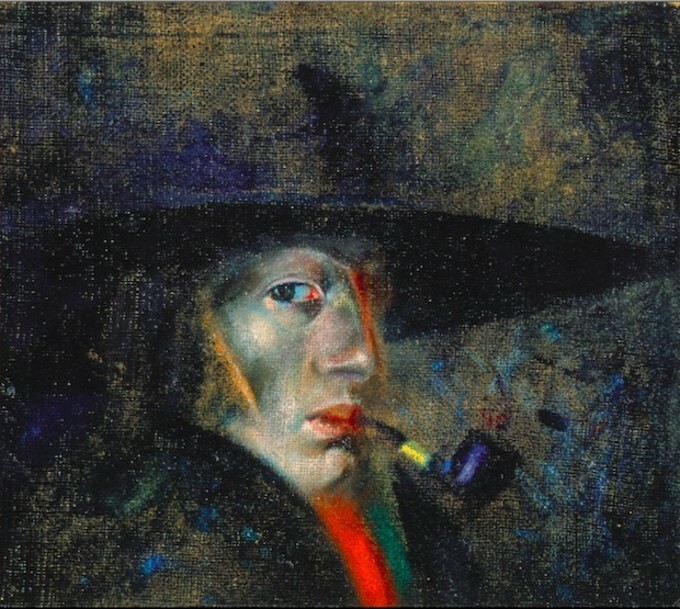 Salvador Dali, Self Portrait, 1921 / © Salvador Dalí. Fundación Gala-Salvador Dalí, (Artist Rights Society), 2014 / Collection of the Salvador Dalí Museum, Inc., St. Petersburg, FL, 2014. Because you had broached the topic with so many people in the past, did having that long history—the 11 years of putting the show together—almost help in a way? Did it make it easier to bring some of those supporters from way back to come onboard? I think the long effort did help. Normally in this kind of fraternity/sorority of museums, we are able to borrow from museums that have borrowed from us. But we had to go much farther afield with museums that we had not had any lending experience with. The Art Gallery of Ontario was one of them. We had already had a lot of commerce with the Pompidou and with the Moderna Museet in Stockholm. We had never loaned or borrowed anything from the Menil Collection in Houston. There were several new relationships that had to be forged under which there were no reciprocal obligations or understandings, so it really took personal relationships. That was the biggest challenge, trying to find the works that would absolutely be articulate about the way these two artists had the same vibration at the same time. I’m a member of an association of museum directors in North America, and knowing those people, I could call on them and explain the importance of the show. I think universally we got a lot of support for this as being an imaginative and necessary exhibition to do. Sometimes there were disappointments. There were institutions that we thought would loan to us who didn’t for various reasons, but largely we got the support we needed to make this exhibit what it is. What was the single biggest challenge you faced in putting this exhibition together, particularly from a logistical or organization standpoint? The hardest thing was that we chose a difficult road. 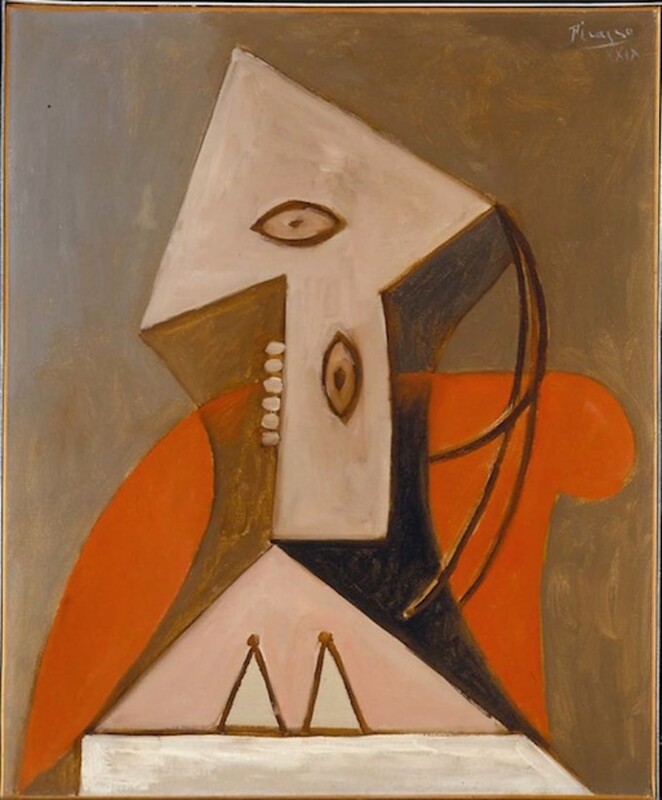 If we wanted to focus on Picasso and look at him in the same light as Dali, we could have gone to one source. Since Picasso is so prolific, there are a number of museums that we could&apos;ve said, “We need 25 Picassos, and we will pay you a fee. Just give us the most interesting of them.” We didn’t go that route because we wanted to make a specific point about these intersections in terms of place, friendships, and history between these two artists. So we had to instead go to all these different sources. That was the biggest challenge, trying to find the works that would absolutely be articulate about the way these two artists had the same vibration at the same time. Once we had gone that course, on the logistical side, the hard thing was just to pay for the transport and the packing. There’s a requirement standard in the industry that every lending institution sends a courier, who needs to fly with the work. Often they need to be in business class so that they are fresh when they land on the tarmac. Then they have to be there to see the work acclimatize, which takes a couple of days, and then to see it hung. So you have the responsibility for moving 22 couriers around the world and providing for them. We were very lucky with the insurance because we were granted this indemnity from the State Department. The State Department of the United States set aside a fund for exhibits that they think will really benefit the American public to offset the incredible cost of insurance. They essentially write an affidavit that they will support any losses that should happen, and that was a big help. these two imaginations have created distinct visions from the same experiences that we have. Is there one piece that was particularly fragile or sensitive to transport? It was a Dali painting from a monastery in southern Spain. Because these paintings are stretched on canvas, and there’s a lot of pressure on them. You have to keep them upright, you can’t turn them on their sides, you can’t turn them on their bellies or backs. Here’s a painting that’s like six or seven feet tall, then you put a crate around it, and now you have to find a plane. [laughs] There’s no commercial airline that can accommodate it. You have to go to a place that has a kind of military transport aircraft. In this case it was either Amsterdam or Brussels. Then when you cross the border from Spain to France, they require armed guards to travel with it because there’s still this sort of national distrust across borders. So you end up paying for the couriers, you end up paying for the transport, you end up with police escorts, and then all the fees of a foreign airport. The narrative of the exhibition is really one of the most unique and fascinating parts of it, that we’re able to see so many examples of these two masters hanging side by side and are able to consider their work in terms of history, geography, and politics. From a narrative perspective, what story do you want this exhibition to tell? These are the giants, we know that. These are people who were capable of representing the world in a visual experience with a compelling exactness, but they chose not to do so. They chose to be motivated by some interior vision of the world. Those are the distortions of Picasso, and those are the dream-like imaginings of Dali. But here’s the clincher on this concept: not one vision or the other is a superior vision. I think that we can learn from looking at these two and seeing how brilliantly they process the historical contingencies, the relationship conflicts, the things that every human being who walks on this earth encounters in a long life in a way that liberates us because they’re so imaginative. The idea is that, yes, you will come here with prejudices about these two artists—you like one or the other—and, yes, you will understand that they don’t necessarily describe the world as it looks in an everyday way. But when you leave you’ll understand that these two imaginations have created distinct visions from the same experiences that we have. 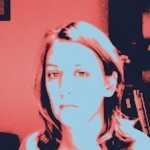 And we feel empowered to create our own distinct visions. That’s the dividend I hope people take away from this. 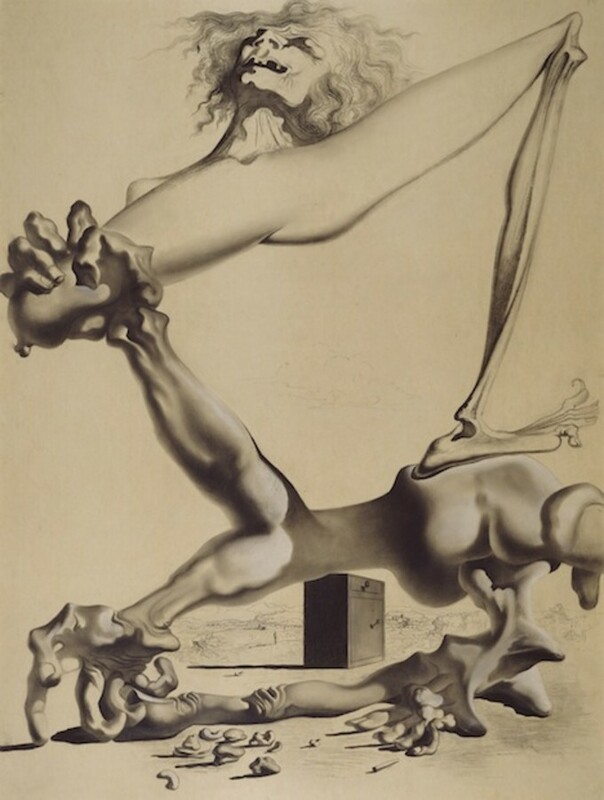 Salvador Dali, Study for ‘Premonition of the Civil War’, 1935 / © 2014 Salvador Dalí. Fundación Gala-Salvador Dalí / Artist Rights Society (ARS) / Photographic Archives Museo Nacional Centro de Arte Reina Sofia. One thing that was surprising was the personal nature of the exhibit, specifically with the collection of postcards that Dali wrote to Picasso over the years. Was making that connection between the two artists in such a direct way part of the plan from the beginning? Yes. We were very conservative about choosing completely documented encounters, but just the logic of the situation tells us that there were many dinners where these two guys were together. We know that Picasso funded Dali’s travel to the United States, and we know that Gala Dali had some sort of entanglement with Picasso, personally, prior to Dali. So it’s a really, really complex web of connections, and we wanted only to talk about the ones that had the greatest and most direct influence in their art. Was it difficult to secure those pieces—the postcards specifically? Yes it was. The Picasso Museum [in Paris] has been sort of held captive by an administrative system that was not working. It was only within the last few months that they changed administrations, and we reached the new director, who was enchanted by the idea of the show who said, “Yes, absolutely. You can have these.” But we knew about them because there was a little book of them produced I think in the ‘80s. But to have them in the hand of Gala and Dali was totally distinct. So that was a triumph. Was there something that you learned in the process of putting this exhibition together that really surprised? I didn’t know about Picasso’s presence in Cadaqués, Spain, and that for me has been the most exciting discovery. I’ve always believed that there’s this sort of enchantment to place—there’s something very special about particular places—and when you go to Cadaqués, you just know that this is really special. It’s a wonderful place. It’s quiet, but it’s dynamic. And to learn that Picasso had reached a sort of turning point in his art in that place, coming as the guest of a man who later had given Dali his first set of oil paints and encouraged him to be an artist, it’s almost like this place was magic. We know that subsequently some magical things happened too, and Marcel Duchamp came to spend time in Cadaqués with Dali when they became great friends. So it’s had three of the great artists of our era living there, and it’s a sleepy place of 1,000 people. It’s just a miracle. 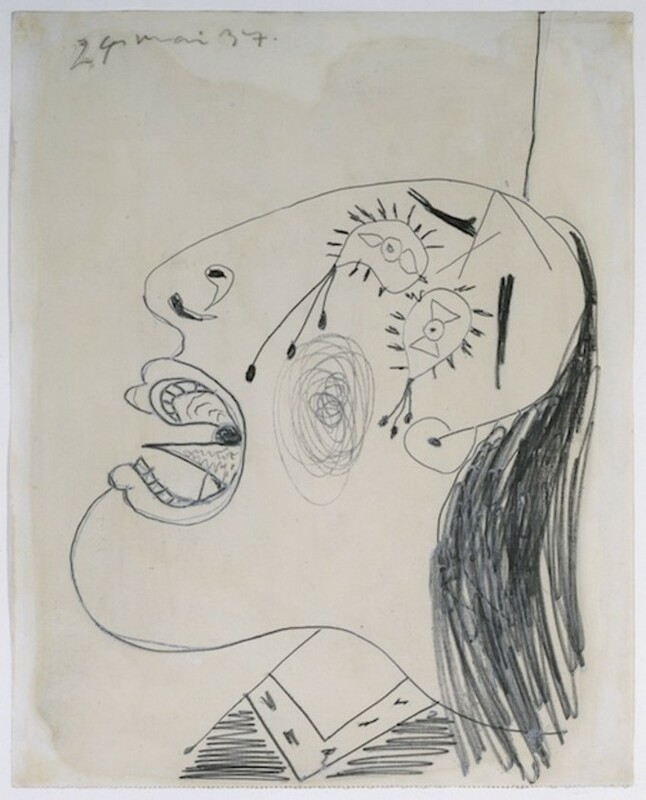 "Picasso/Dali, Dali/Picasso" runs from Nov. 8 to Feb. 16, 2015 at the Dali Museum in Florida.